For centuries, hospitality in Japan has meant kimono-clad innkeepers attentive to the last detail. Now, androids from the company that licenses Hello Kitty will staff a new hotel. 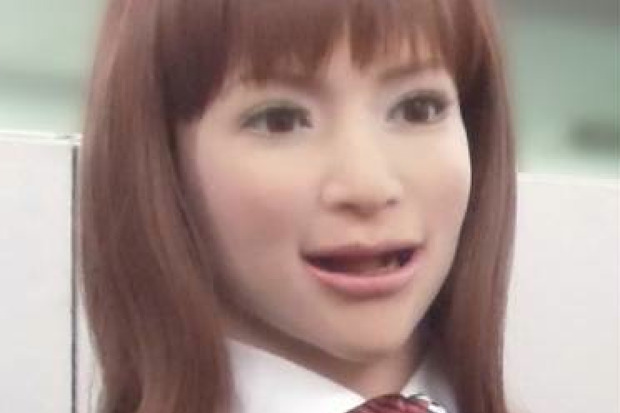 A theme park near Nagasaki in southern Japan will open a smart hotel featuring female androids that greet guests, and robots that carry luggage and serve coffee. Henn-na Hotel at the Dutch-inspired Huis Ten Bosch theme park will be partly powered by solar panels and guests will have the option of using facial-recognition software instead of door keys. Henn-na Hotel, meaning “Strange Hotel” in English, will feature three uniformed reception androids, four service and porter robots, an industrial robot arm serving as a cloak room attendant and several cleaning robots. The receptionists will be sourced from Kokoro, a group company of Hello Kitty licensing company Sanrio that is known for its lifelike Actroid androids. The hotel will also have machines from Aldebaran Robotics, which makes the Nao humanoid robot as well as mobile carrier SoftBank’s Pepper humanoid robot, and Yaskawa Electric’s industrial robots. Huis Ten Bosch did not release further details on the robots, but a spokeswoman said about 10 human staff will help with hotel operations. The facility will open a first phase in July with 72 rooms, and another phase with same capacity next year. Rooms will start from ¥7,000 (US$59), and will be open to an online auction system in which guests can bid for the rate they want. The minimum price is far below the rates at the three other hotels at the theme park (which start around ¥20,000 to ¥30,000) because the use of robots, power-saving equipment such as LED lights and renewable energy is expected to significantly reduce operating costs. “We’d like to draw visitors to this setting surrounded by nature by establishing a smart hotel, which could be something we could spread through Japan and the world,” the spokeswoman for Huis Ten Bosch said. Japan has been experimenting with androids for years, mostly for communication tasks, amid hopes that automation will help make up for a shrinking workforce. The androids cannot walk, but have a lifelike appearance and smooth arm, head and facial movements thanks to their air servo motion controllers. They were deployed as information desk attendants as far back as 10 years ago at the 2005 Aichi Expo near Nagoya, and more recently have appeared at the Ceatec technology show outside Tokyo as well as the Miraikan museum in the Japanese capital, where they held their own press conference.